Light and Shadows: Caravaggio, the Italian Baroque Master was an exhibition held by Asia Society Hong Kong from March to April 2014. 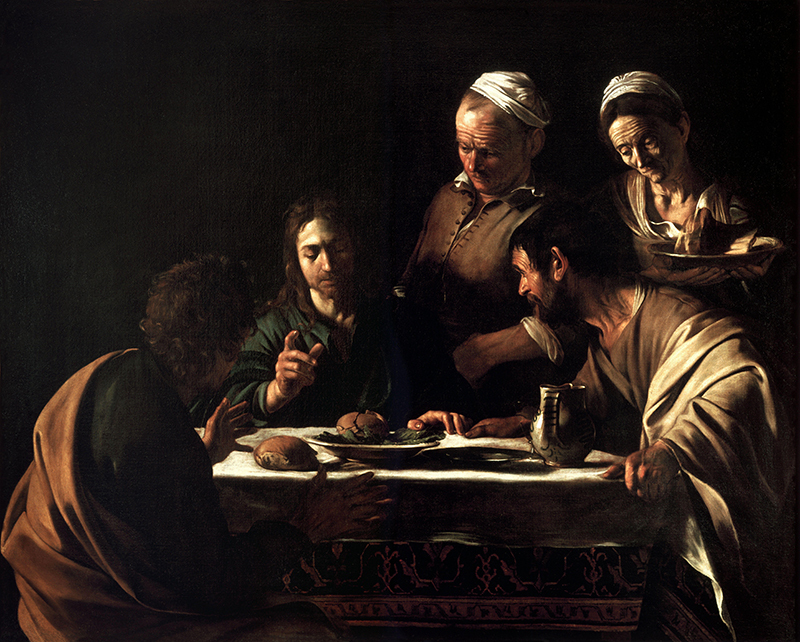 It’s particular uniqueness lay in the fact that it put – for the first time – a Caravaggio-painting Supper at Emmaus on display for the Hong Kong Public. 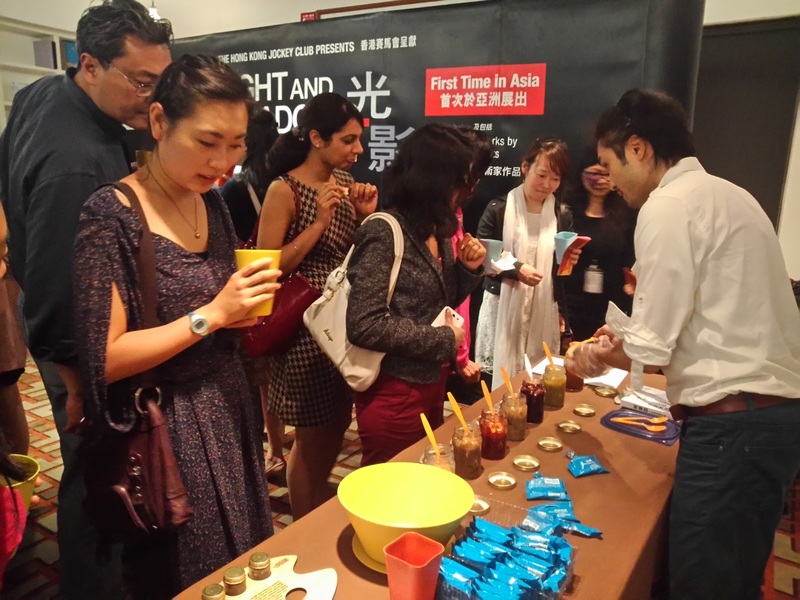 In an attempt to engage visitors in new creative and dynamic exhibition experiences, Asia Society Hong Kong invited students from the MVA (Experience Design) to develop ideas for target audiences of their choice. 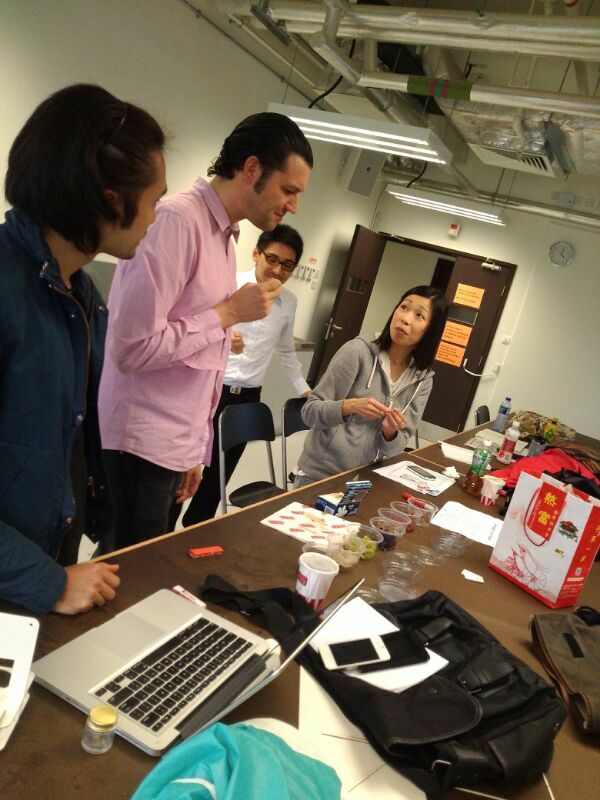 The Emotion Jam-group initially decided to focus on visitors who essentially can only afford their short lunch breaks to pay a visit to the exhibition, thus need to integrate the appreciation of the artwork(s) with taking in at least some basic food. From this initial notion developed the concept of Emotion Jam: seven specially composed jams, reflecting the emotional changes that the disciples went through from initially meeting the resurrected Jesus to recognising him and realising the miracle at hand. A series of jams was designed to translate the emotional journey of the disciples into a pathway of tastes: Sacrifice, Sorrow, Fear, Confused, Comfort, Hope and Joy. 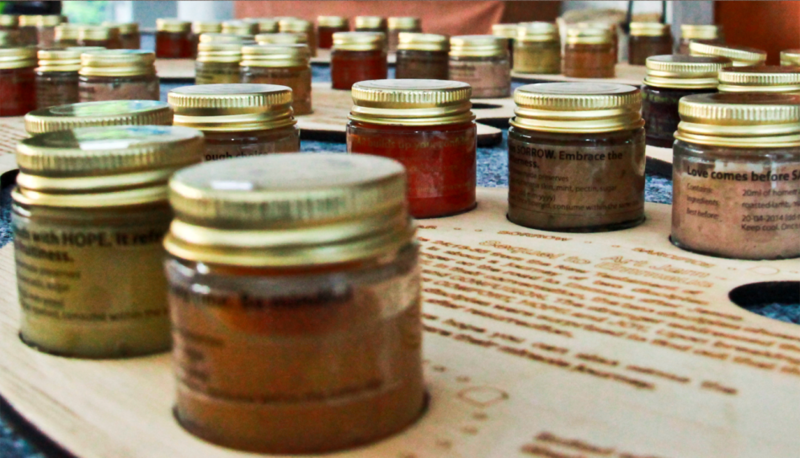 Each jam flavour came with a special recipe and unique ingredients, which could either be found on the painting, or were inspired by research of the cluinary traditions of the Middle East. 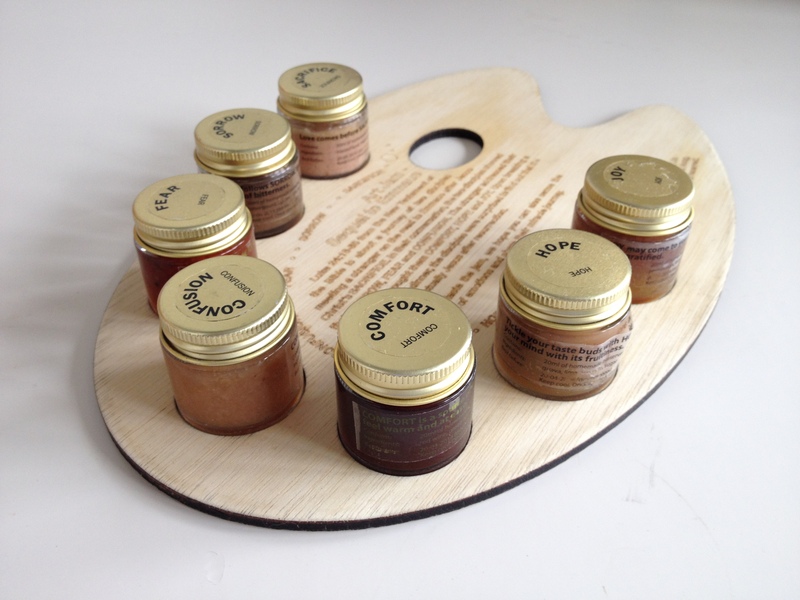 The jams were presented – together with breadsticks – on a purpose produced palette that provided also some background information on the project.